Ducati’s collaboration with AMG started on a massive note with a sponsorship contract between the two companies for the Ducati MotoGP team, primarily since both share similar values with respect to performance and motorsport culture. 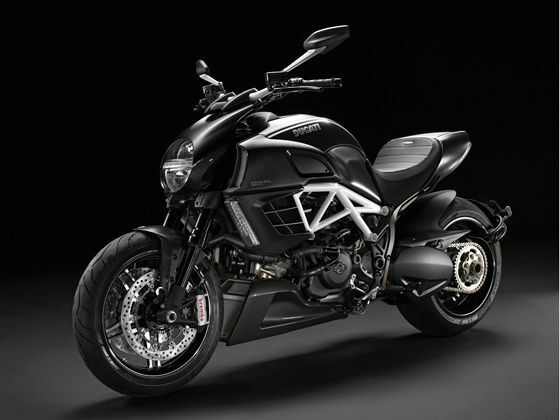 The new Diavel will be seen with upgraded special five-spoke wheel styling, new radiator grilles, exhaust, an Alcantara saddle and most importantly an extraordinary Diavel-AMG badge on the white-striped carbon-fiber bodywork. What sets the new edition of the Diavel apart from the other ones is the accurately balanced engine made and signed by an individual technician. Manually made, similar to all the Ducatis that roar their way out of the assembly unit, the special edition is fully clad with AMG’s very own ‘Diamond White Bright’ stripe and frame in contrast with the black rims. The AMG brand will be seen on the wheels, seat and the end caps of the exhaust. The new ‘Devil’ as well as an exclusively designed jacket and helmet will hit the showroom in 2012, after its public unveiling at the upcoming Frankfurt Motor Show 2011. Thanks for providing information about this..i really like all the stuff..really thanks for sharing..
yes its a very good and amazing blog@ so thanks for share with me.